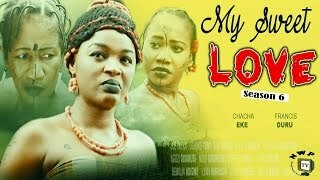 The Season 1 and 2 of My Sweet Love Nigerian Movie is showing on NMN. Starring Chacha Eke, Francis Duru, Ugezu J. Ugezu, Nelson Wealth, Joe Iweka, and a host of maidens and elders. Watch, comment and share with friends on social networks! 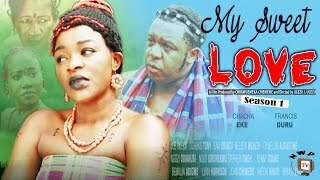 Chacha Eke acted really good in this movie, we love it! SUMMARY: In this incredible action packed epic movie a very unique girl emerges who upsets and destroys all conspiracies and attempts to intimidate or extort from her and her mother due to her father's death. This tigress of a girl however rejects all suitors, thus refusing to get married to anyone. True love however comes knocking, the type that can never be rejected! 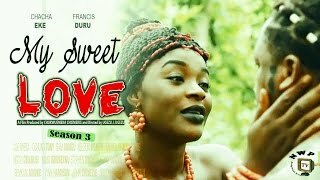 Video courtesy NollywoodMoviesTV on YouTube. Endeavor to let us know what you think about this movie showcased on NMN.